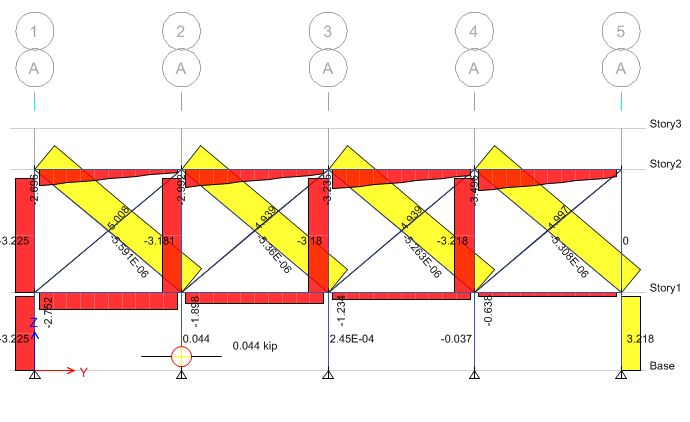 When we want to model tension cable rods or any member with zero compression and want to use finite element model for this purpose then follow the procedure below. This procedure is written considering CSI products (SAP or ETABS) but the concept should be similar for most of the softwares. 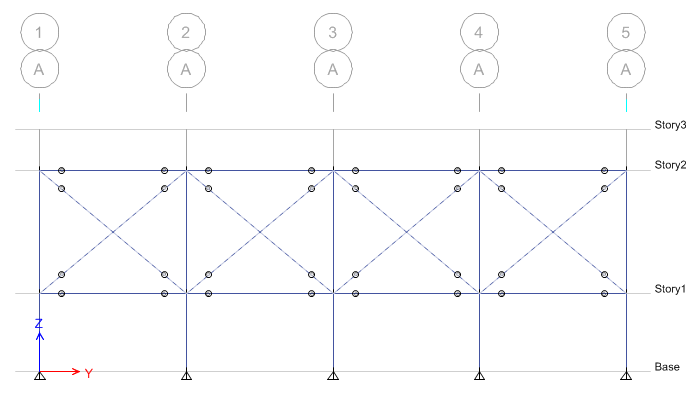 Select the frame elements which should not take any compression. 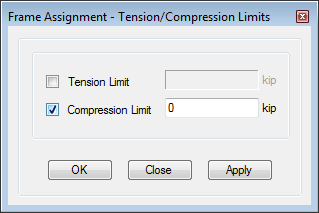 Click Assign > Frame/Line > Tension/Compression Limits. 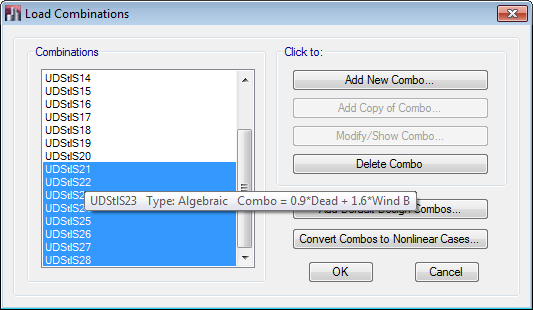 In order to run the analysis for tension-only members, we have to run Non-Liner Static analysis which is very simple. 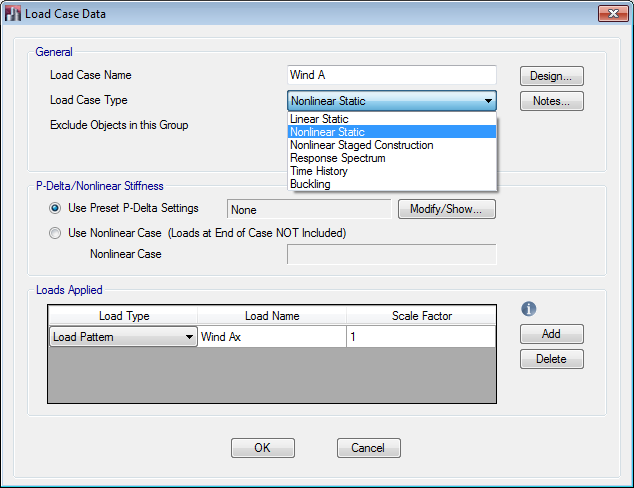 Go to Define > Load Cases and select the case you want to change to non-linear static (usually lateral load cases). 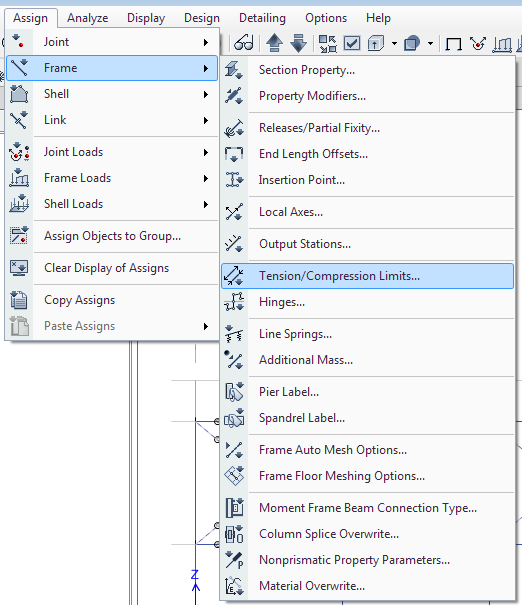 Select Non-Linear Static from the pull down menu. 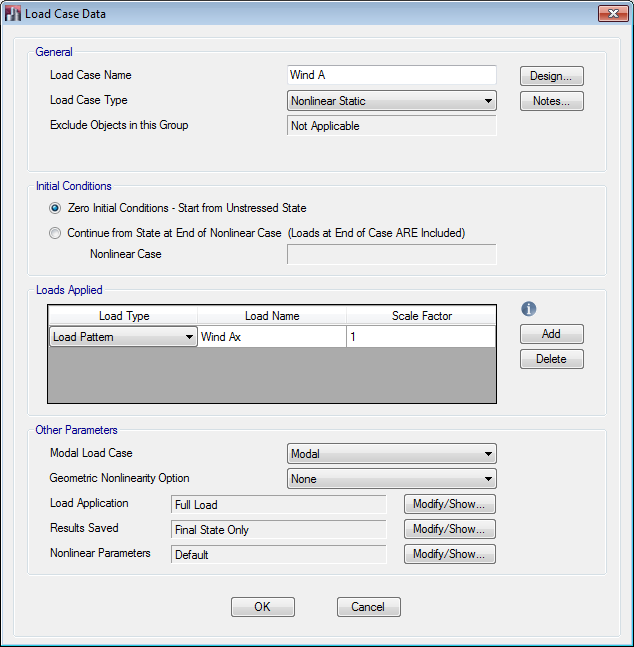 Input other load cases in the box with appropriate load factors. Run the analysis and check the members with no compression and confirm that members are only taking tension. Run Analysis and check the forces in the members.